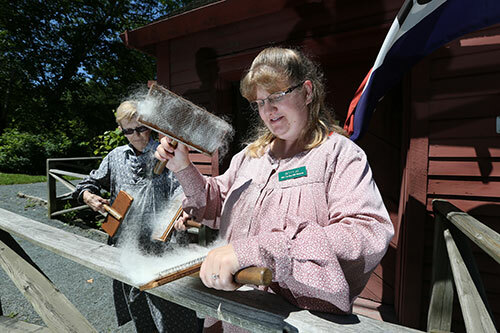 When you visit Wile Carding Mill you are greeted by costumed interpreters representing the women who worked at the mill. You will step into 19th century industrial life in small town Nova Scotia. Interpreters demonstrate the hard work and industrial dangers Dean Wile’s staff faced daily. You will get to see what the mill provided to local farmers and how wool was carded for spinning. Wheelchair accessible on the main level.